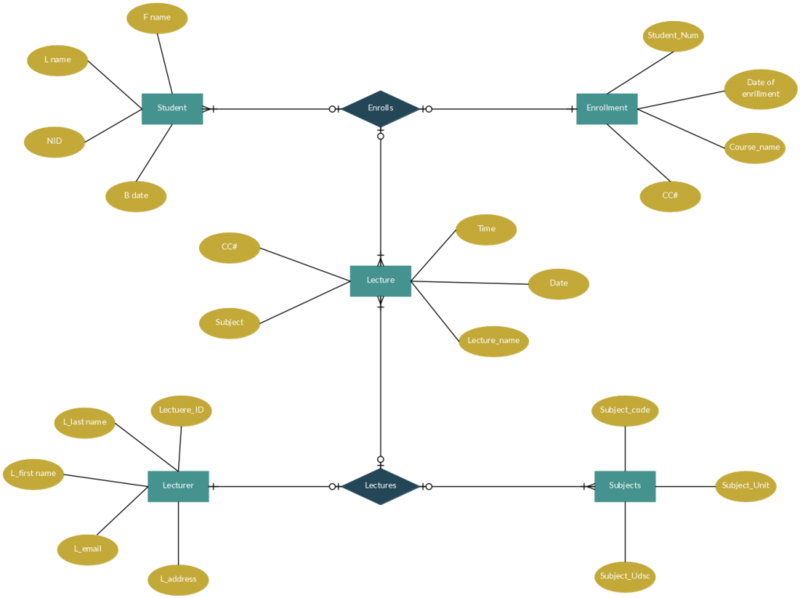 An ER diagram is a systematic way of describing and defining a business process. 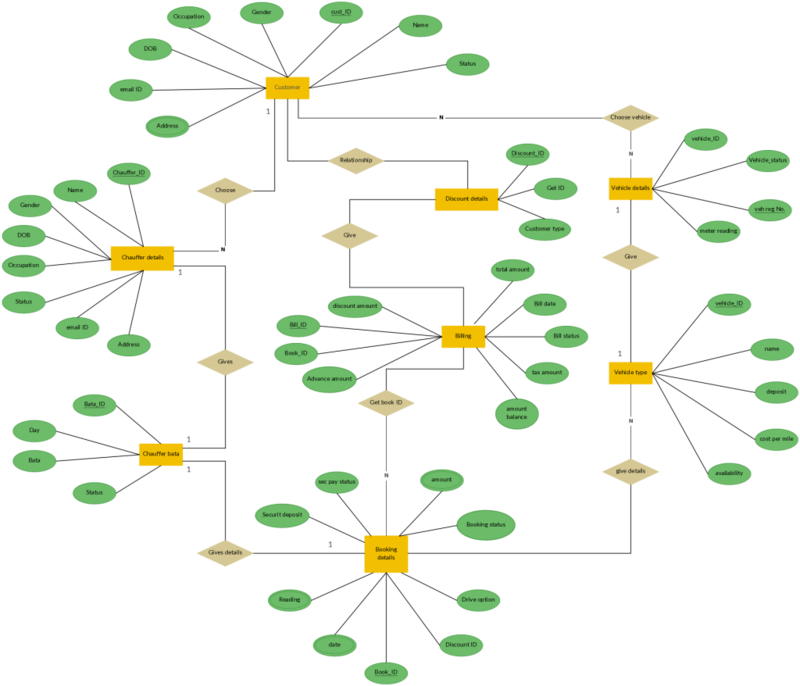 The process is modeled as components that are linked to each other by relationships that express the dependencies and requirements between them. The ER diagram templates below cover many common scenarios. Just click on the image to edit them online. You can even download them as high-quality images. 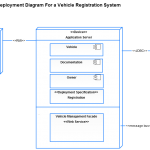 Check out our ER diagram tutorial to learn more about them. This template is for a bank management system. It can also be modified and used as a credit card management system, loan management system etc. Just click on the image and we’ll open it ready for editing. A simple diagram template showing a College Management System. As with the previous template, this can also be modified and used as a student management system, student enrolling system, course management system or any system along those lines. 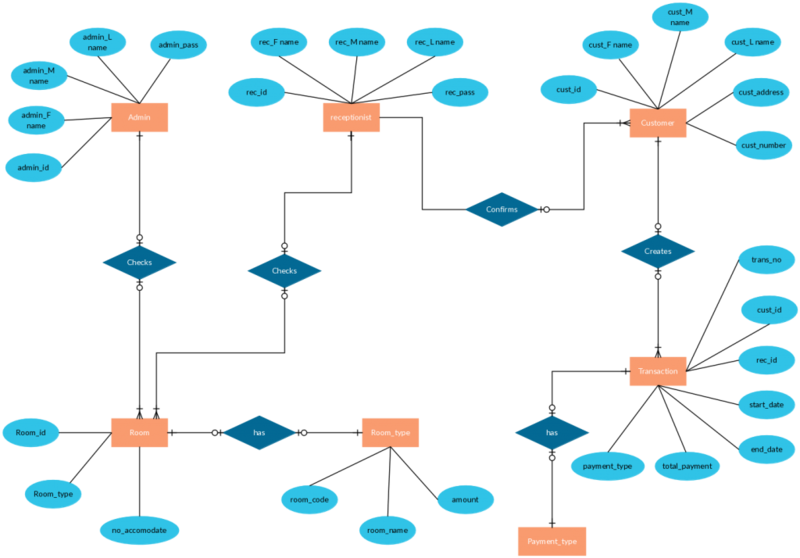 This diagram is a bit complex, but car rental systems are complex by its nature. This could also be used as a cab reservation system, bus reservation system etc. after some modifications. Just click on the image to modify this online. ER Diagram Template for Hospital Management. Using a good color combination gives a better output. If you compare the previous diagram with the below, you find it easy and makes it interesting to read. It’s also a good practice to use the color combination to illustrate complex diagrams since it gives a clearer picture to the reader. 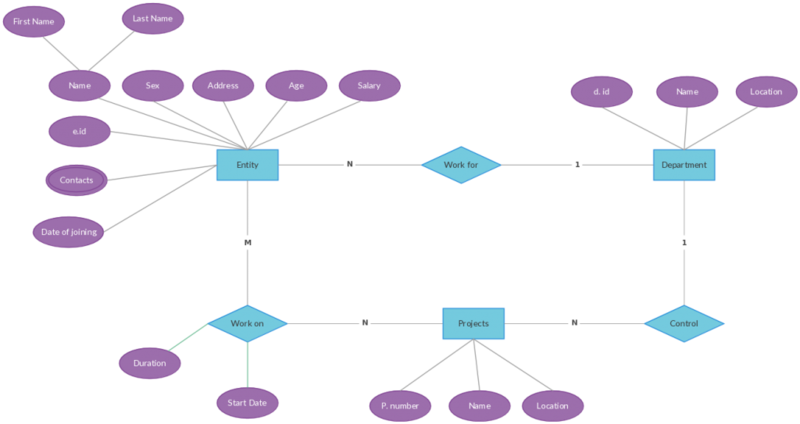 Entity Relationship diagram template to create a Hotel Reservation system. You can differentiate the attributes using the proper color combination to make it look more interesting. Click on the image to modify online. A simple ER diagram template for Library Management. Create your own diagram by simply clicking on the image to start over. 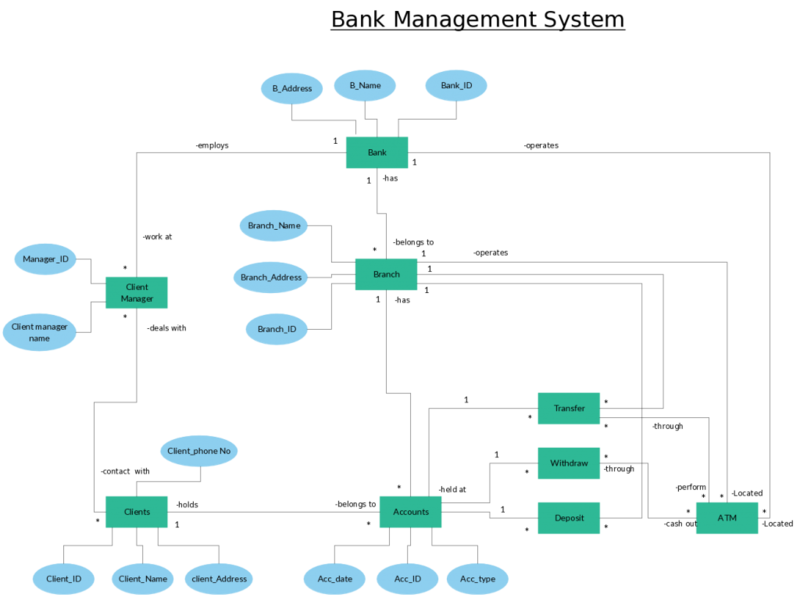 Entity Diagram Template for Railway Reservation System. You can use this template to create any public transport management system. For instance, Bus Ticket reservation system, Flight Reservation, etc. Click on the image to modify online. 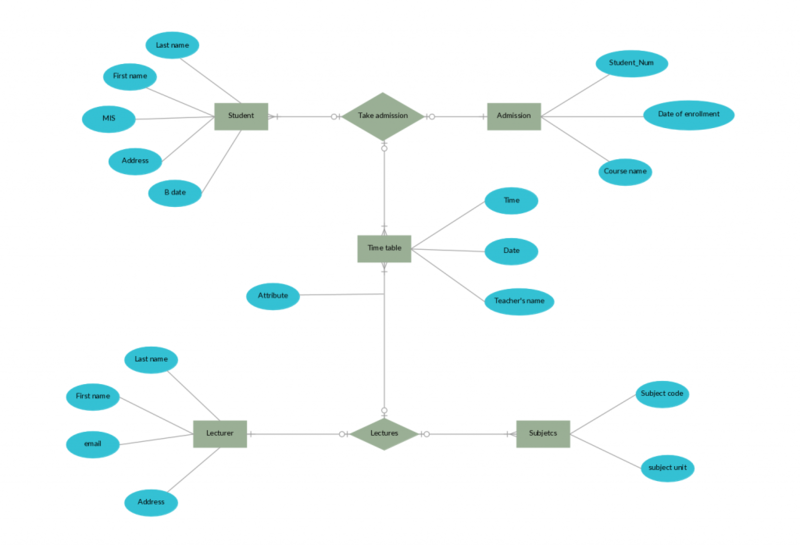 An Entity Relationship diagram for Restaurant Management System. Use this template to create your own restaurant or bar management system. Click on the image to edit online. Create your own ER diagram for a Student Enrollment System. You can start over with this template and modify it as per your requirement. Click on the image to create your own ER diagram. Listed above are the most popular and widely used ER Diagram templates. 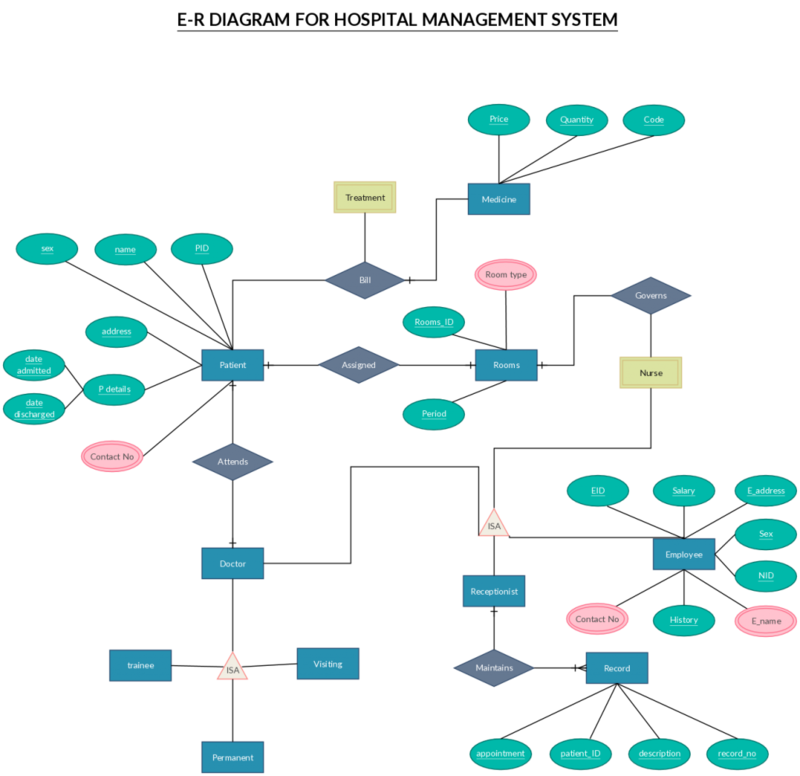 You can explore more ER Diagram examples as listed in our diagram community. 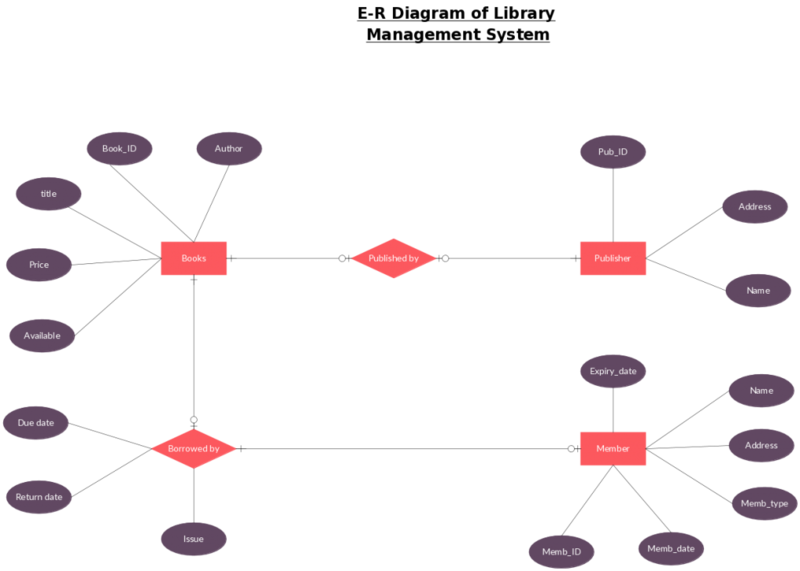 Enjoy creating some awesome diagrams with Creately. 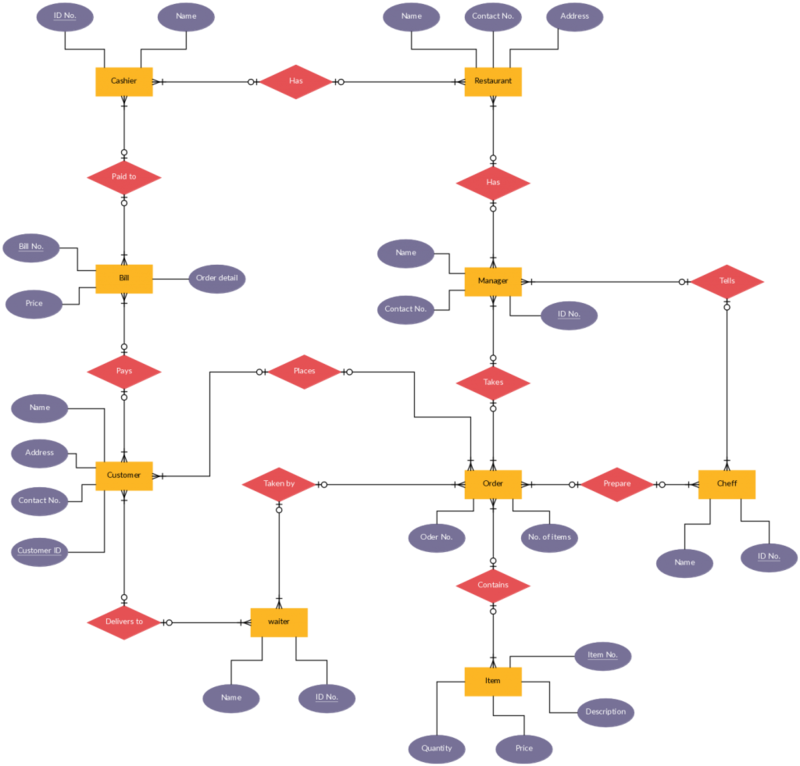 Happy Diagramming. 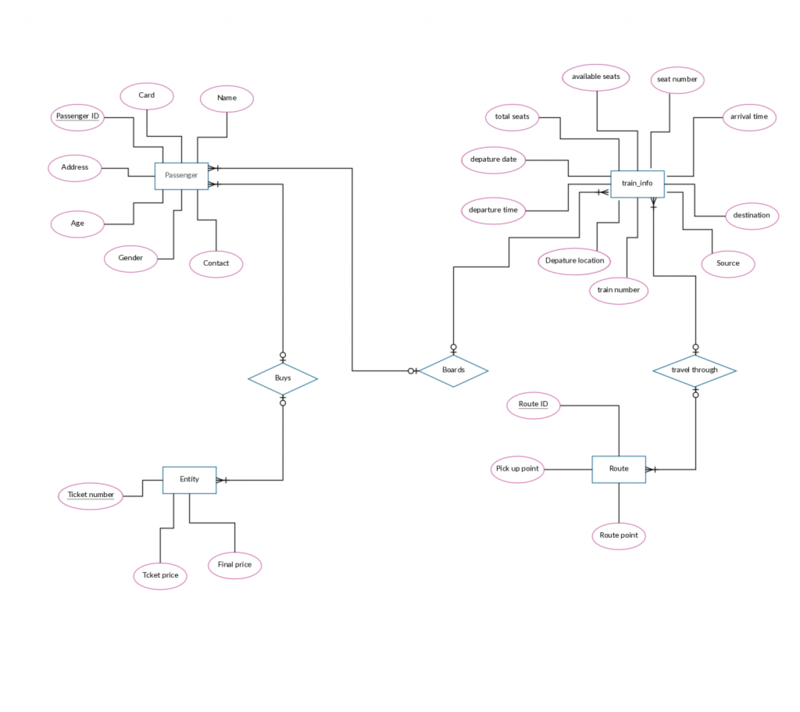 Hi Abhishek, you can easily draw ER diagrams with our ER diagram software https://creately.com/ER-diagram-software. Refer to our ER diagram guide https://creately.com/blog/diagrams/er-diagrams-tutorial/ to learn how to draw them. Check out our community https://creately.com/diagram-community/examples/t/erd for templates.